David Williams was born on June 9, 1980 in Arlington, Texas. Before turning into a professional poker player he was a professional Magic: The Gathering player. Magic is a card game where players build their own decks of cards from the cards they buy and then use these decks to try and defeat other opponents’ decks. David Williams had made more than $30,000 playing Magic when he made it to the final day of the 2001 World Championships which were held in Toronto. However, David Williams was disqualified for cheating when it was discovered that four of his cards were bent more than the others and that every time David shuffled his cards before a match one of the four was always on top. David Williams was banned from playing in Magic: The Gathering tournaments for one year. It was during his ban from Magic that David Williams entered the poker world, playing in high stakes poker games. David Williams won his way into the 2004 World Series of Poker Main Event through online WSOP satellite tournaments. There he met up with professional player Marcel Luske. David Williams and Marcel Luske had a mutual friend in the Netherlands, and Marcel became David’s tutor at the WSOP. David Williams finished second in the tournament to Greg Raymer, walking away with a $3.5 million prize. Shortly after his exciting WSOP experience, David Williams made the final table of a World Poker Tour event, proving that he wasn’t a one-time wonder. David Williams has now made a total of three WPT final tables, and in 2006 David won his first WSOP bracelet. David won the $1500 Seven Card Stud event after defeating John Hoang in heads-up play. David Williams still plays in Magic tournaments for the fun of it, but he plays poker to make money. David Williams now lives where most other professional poker players do, in the luxurious Panorama Towers of Las Vegas, Nevada. 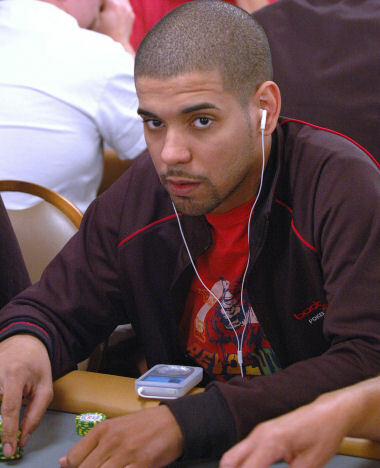 David Williams was formally a Team Bodog Pro, but decided to leave in May of 2010 after winning the $25,000 World Poker Tour Championship for $1.5 million.